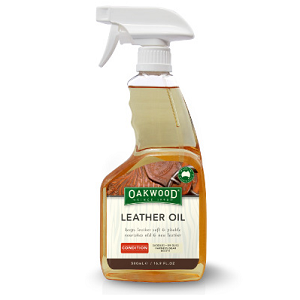 And as with all Oakwood's products, it blends natural ingredients including neatsfoot oil and lanolin in addition to other fine leather conditioning oils. 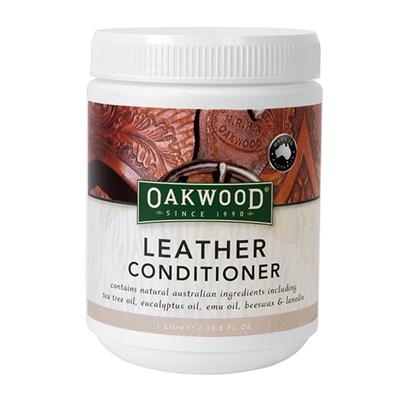 Oakwood Leather Conditioner 16.9 oz. Natural Australian ingredients are the secret to the effectiveness of this rich, creamy formula. Expertly formulated to preserve, soften and protect leather while repelling water. Won't permanently darken leather or come off on your clothing. Contains natural ingredients from Australia including tea tree oil, eucalyptus oil, emu oil, beeswax, and lanolin. 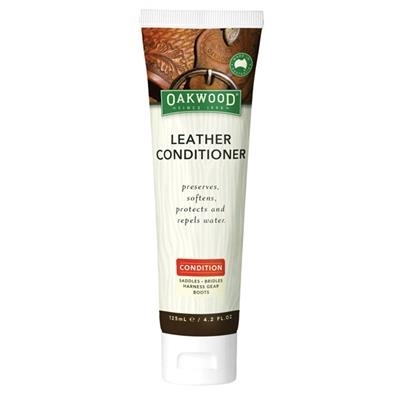 Oakwood Leather Conditioner 4.2 oz. 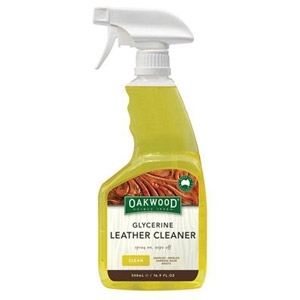 Oakwood Glycerine Leather Cleaner 16.9 oz. Cleaning and maintaining your leather gear is quick and simple with this expert formulation. Perfect for regular leather maintenance, this cleaner removes dirt and grime with just a quick application. Formulated with a neutral pH-balance, this cleaner hydrates leather and protects stitching while it cleans. Quick-drying formula won't dry out leather. Simply spray on and wipe off. Safe, versatile, and convenient, The Safe Clip™ will change the way you tie your horses. 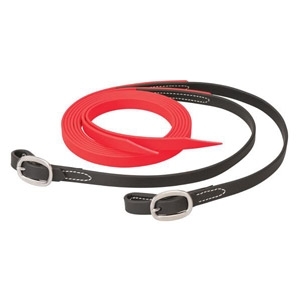 Designed by horsemen with years of experience training horses, The Safe Clip™ is designed to help safely tie horses that tend to pull back or panic when tied. 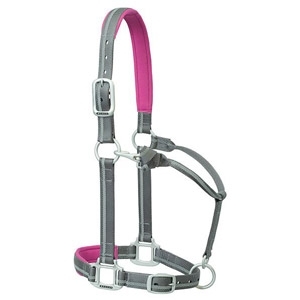 The unique design provides enough resistance while still allowing a relief of pressure, so that a panicking horse can calm down while remaining safely tied. 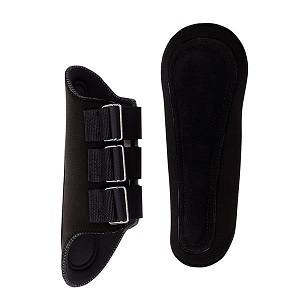 These neoprene boots feature suede padding over the splint area for added protection. Three adjustable hook and loop closures keep these boots securely in place. Small size. Sold per pair. or more than 30 years, Tucker has dedicated ourselves to the development, design and manufacturing of trail saddles and equipment that provide our signature Ultimate Trail Comfort for both rider and horse. Choose between black or brown. 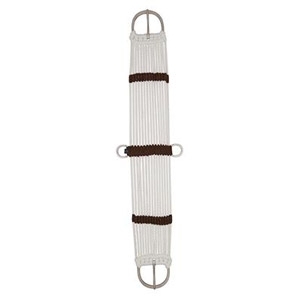 These guards attach to the buckles on string cinches to help protect your horse from skin irritation. 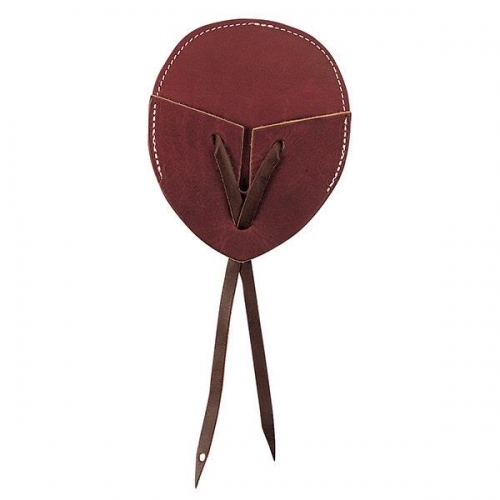 Constructed from soft, supple burgundy latigo leather, these guards feature a fleece lining. Accommodates most string cinches. Sold per pair. 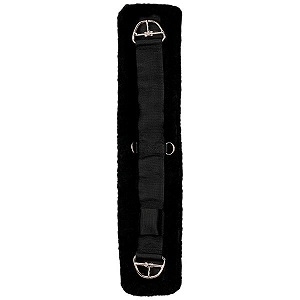 This durable cinch is constructed from black 3" polypropylene webbing backed by black heavy fleece. 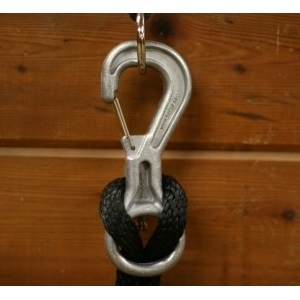 Dees offer easy tie down and back cinch attachment. A machine washable design gives this cinch easy care convenience. Durable nickel plated hardware. Horse size. Fashionable patterned webbing pairs with coordinating solid webbing to give these vibrant nylon halters lots of style. Starting with top quality nylon, we add special details like oblong buckle holes, box stitching at stress points, heat-sealed edges, and comfortable rolled throat for the ultimate in performance and value. 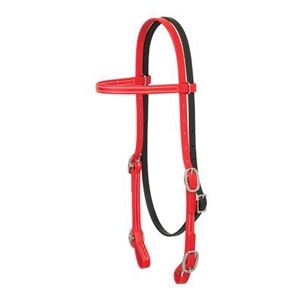 Popular with trail riders, this halter bridle provides convenience for tying your horse to trees, high lines and picket lines without needing a separate halter out on the trail. Constructed from quality skirting leather with a beautiful mahogany finish to match the industryâ€™s most popular trail saddles. Removable cheeks with sleek halter snaps make it easy to attach and detach the bit. Nickel plated hardware. Horse size. Extra heavy harness leather is dipped in oil, dressed with butter and hand rubbed for the ultimate in performance and a rich golden chestnut color. 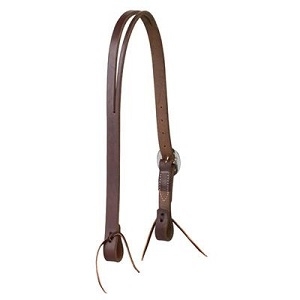 This sleek 1" split ear headstall features lower buckle placement for your horse's comfort. Ideal for trail, working, and everyday use. Tie bit ends. Non-rust stainless steel hardware. Horse size. 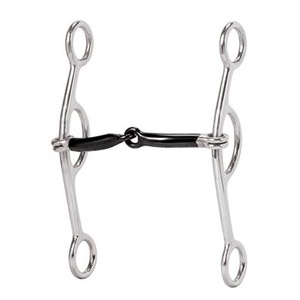 This stainless steel gag bit features a 5" sweet iron snaffle mouth and 8" cheeks. 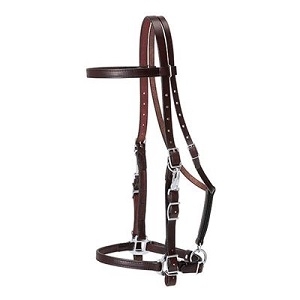 All purpose 5/8" headstall offers the easy cleaning, weather resistance and durability of our exclusive Brahma Webb® coated webbing in a versatile design perfect for a wide range of riders. 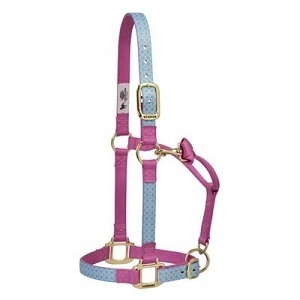 Bright colors pair with cart buckles at the cheeks and bit ends for the perfect combination of style and function. Non-rust stainless steel hardware. Horse size. All purpose rein offers the easy cleaning, weather resistance and durability of our exclusive Brahma Webb® coated webbing in a versatile design perfect for a wide range of riders. 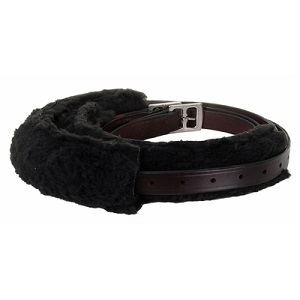 Brightly-colored Brahma Webb® is accented with black Brahma Webb® and conway buckles at the bit ends. Scissor snap on one end. Non-rust stainless steel hardware. 5/8" x 8'. 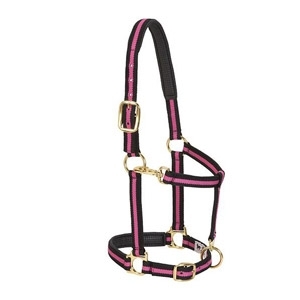 All purpose reins offer the easy cleaning, weather resistance and durability of our exclusive Brahma Webb® coated webbing in a versatile design perfect for a wide range of riders. 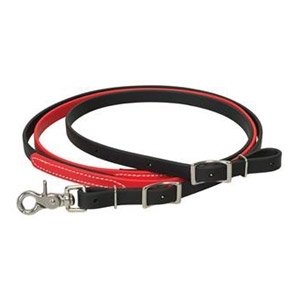 Brightly-colored Brahma Webb® is accented with black Brahma Webb® and cart buckles at the bit ends. Non-rust stainless steel hardware. 5/8" x 7'. 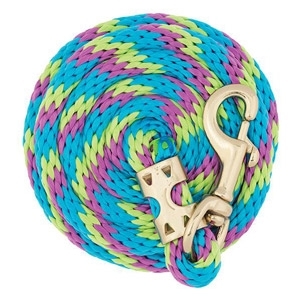 This rayon cinch is a traditional favorite great for all riding needs. 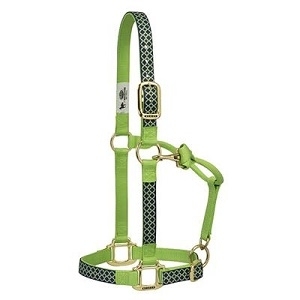 Features woven-in dees for tie down strap and back cinch attachment. Durable nickel plated hardware. White with brown accents. Horse size. 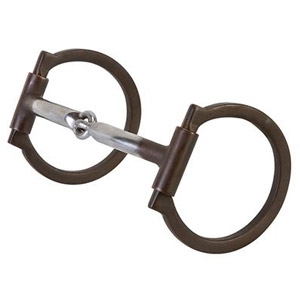 This antiqued ring snaffle bit features a 5" polished snaffle mouth with copper inlay and 3-1/8" dees. Recommended by Stacy Westfall. 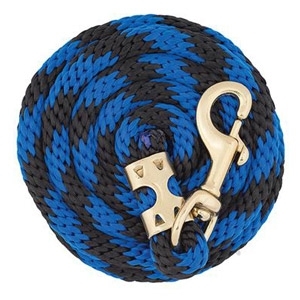 Quality poly lead features a soft, broken in feel and brass plated 225 snap. A great value for the price! Measures 5/8" x 8'. Assorted colors. Quality poly lead features a soft, broken in feel and brass plated 225 snap. A great value for the price! Measures 5/8" x 8'. Lime Zest/Hurricane Blue/Purple Jazz. A soft, PVC coated foam rubber padding cushions the nose and crown of this 1" polypropylene halter for added comfort to your horse. Brass plated hardware. Black with a red, blue, green, pink, brown, sand or purple stripe. Small horse or weanling draft size.